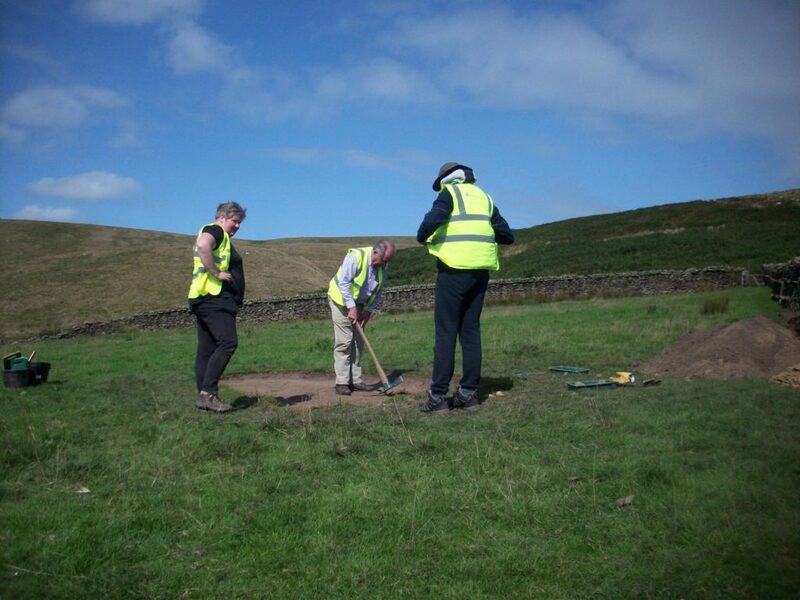 It’s not just about digging – join us for a field walk. You may be amazed at what you learn! 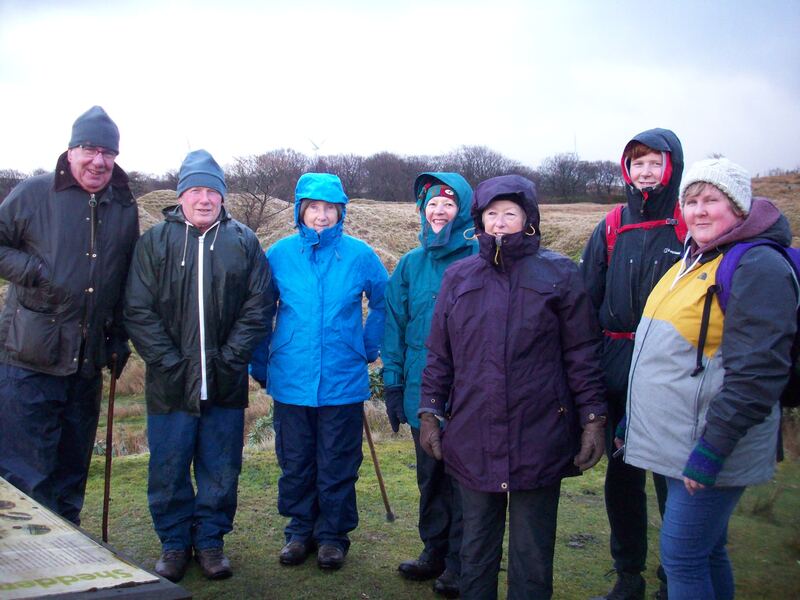 Re-named, re-formed and re-energised, our archaeological group have a busy time ahead of them investigating unusual earthworks on Calf Hill near Sabden and field walks in a number of different areas covering various periods of history. 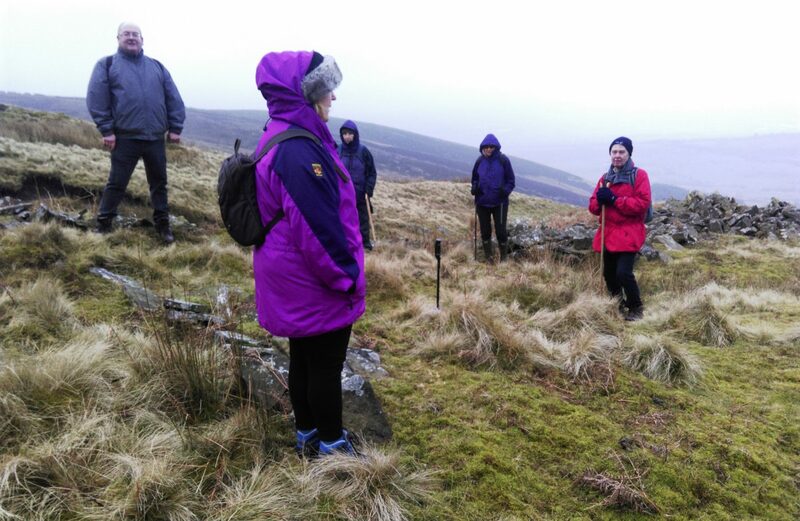 Previously we have researched into the vaccaries (cattle farms) within the Blackburn Hundred in the Forests of Pendle, Trawden, Rossendale and Accrington, which flourished in the thirteenth and fourteenth centuries. Archaeology involves far more than just digging for artefacts, although this can be key to finding clues to how our ancestors lived. 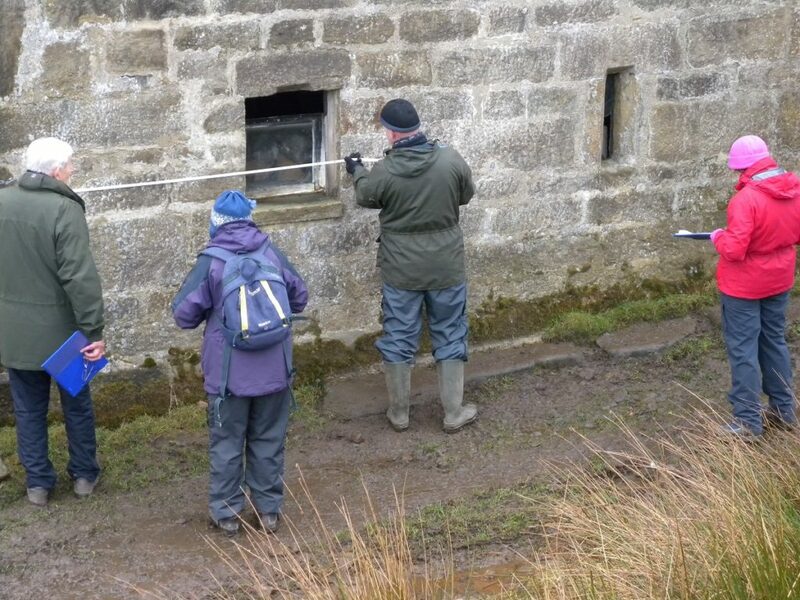 Field walking, research in record offices, online enquiries, recording and cataloguing finds are essential components. Most of us are simply interested amateurs who are keen to learn about the past, many of us are far from knowledgeable so don’t feel intimidated! 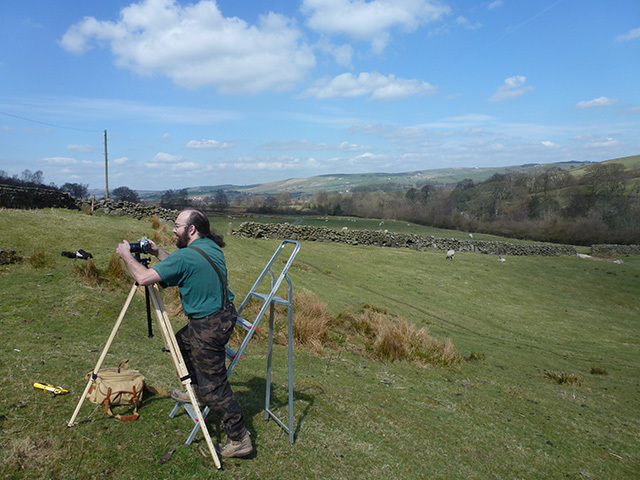 We’re particularly keen to welcome young people, perhaps planning careers in archaeology and to this end we’ve appointed a Training Officer to provide the best possible support. 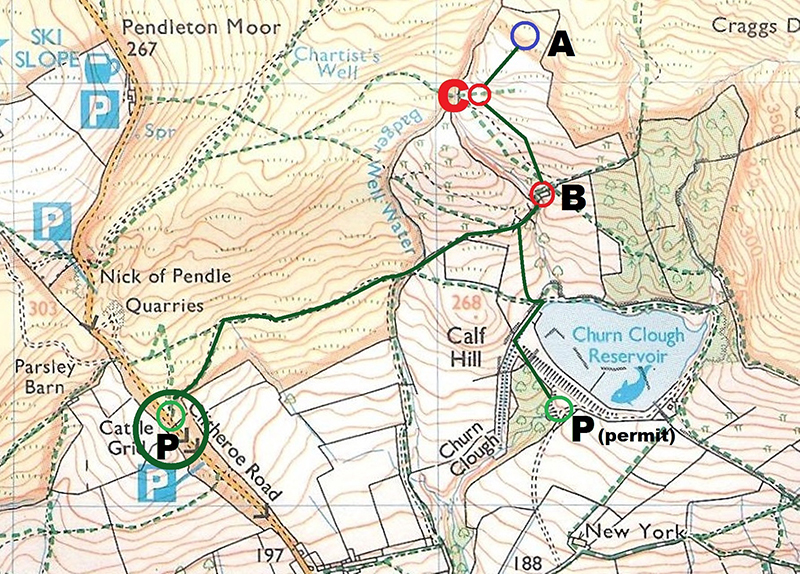 If you’re interested in joining us, just send an email to roger@chro.co.uk or leave your details at Pendle Heritage Centre and we’ll back to you shortly. 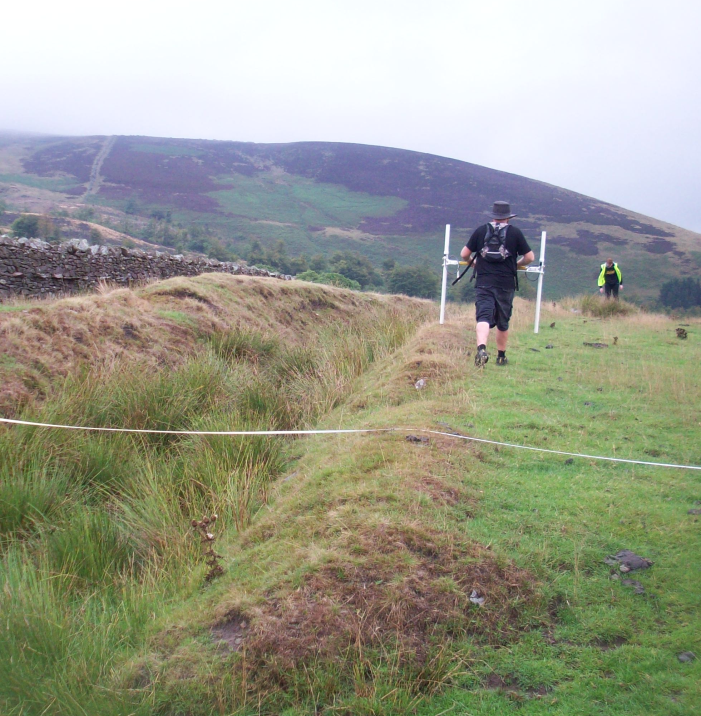 Calf Hill is situated 1/2 mile along the track by the cattle grid on Clitheroe Road, Sabden and features a deep, wide ditch running up the hill. Many theories about it have been developed over the years but nobody is sure why it was dug or when it was dug. We aim to find out! 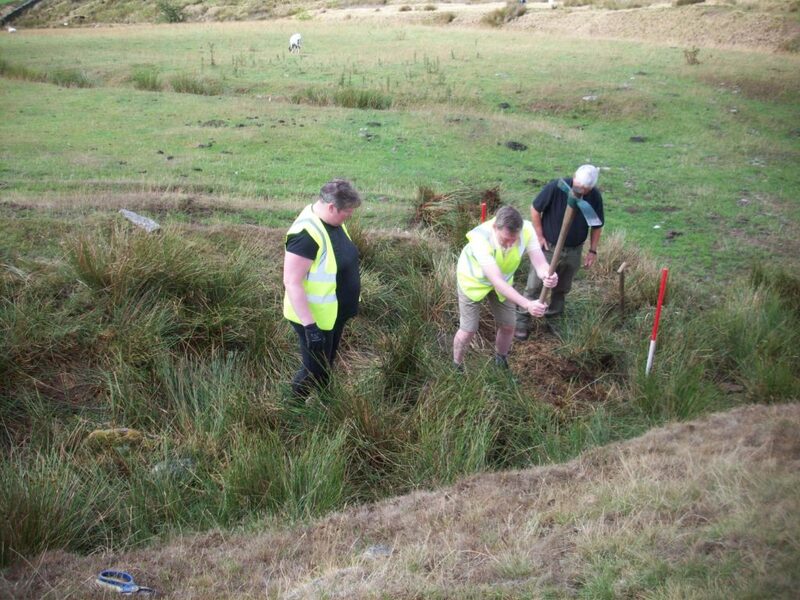 In the summer of 2018 we carried out magnetometery surveys and two digs. Did we get any answers? We created a whole lot of new questions and intend to go back in 2019 to continue excavating. 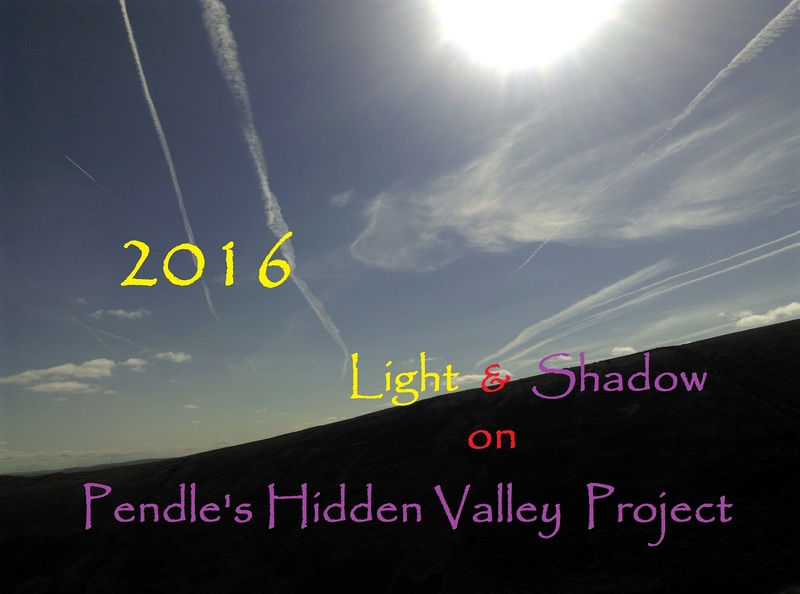 Pendle’s Hidden Valley Project is a long term archaeological undertaking of the Pendle Archaelogy Group. In brief the aim of the project is to examine the history of the valley between Portfield (near Whalley) and Water Meetings (near Barrowford). The emphasis is on pre 1066 activity. Our dig programme has so far included early industrial, agricultural, & domestic excavations. We have unearthed finds ranging from the Mesolithic to the Modern, from worked stone to Medieval pot to bone. 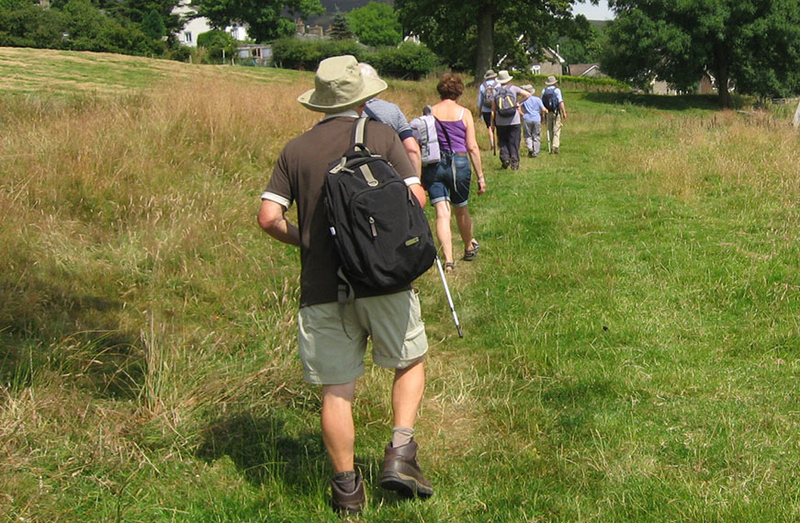 A multi-discipline approach has been taken so there are opportunities for different forms of involvement ranging from the sedate to the active. 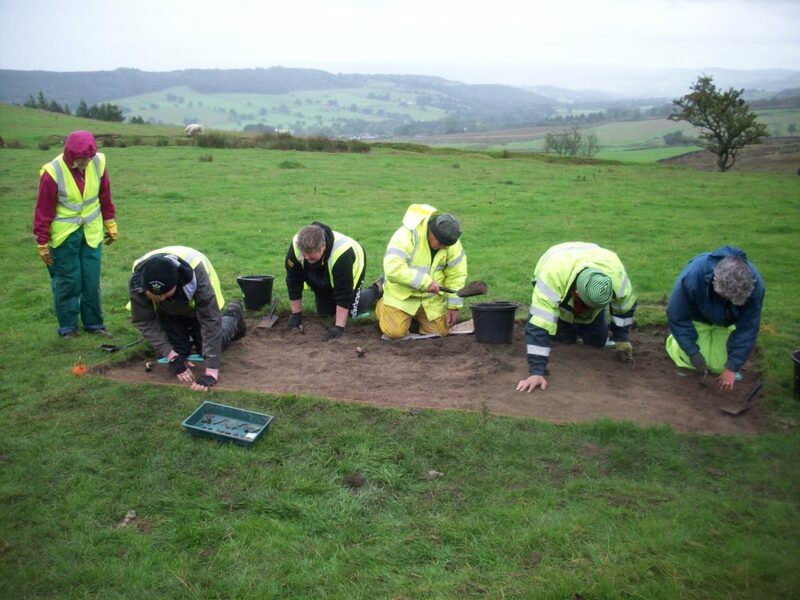 An excavation was carried out during 2007-9 in the grounds of Wycoller Hall to the south of the aisled barn. The features comprise a small rectangular structure with four external walls built of brick and stone with a flagged floor. 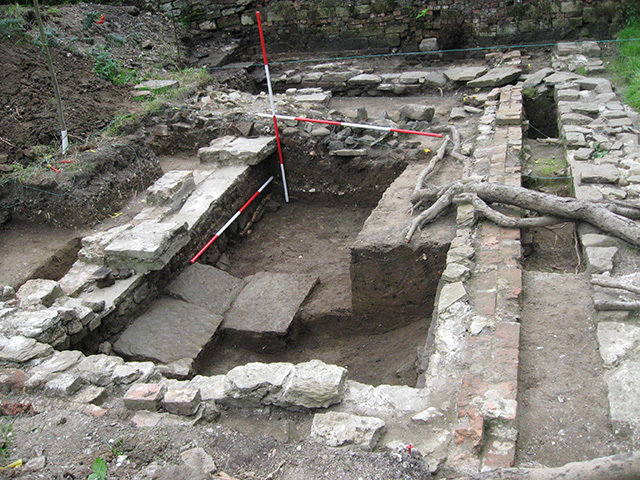 A small furnace area was sited at the north-east corner. Two phases of construction were identified. 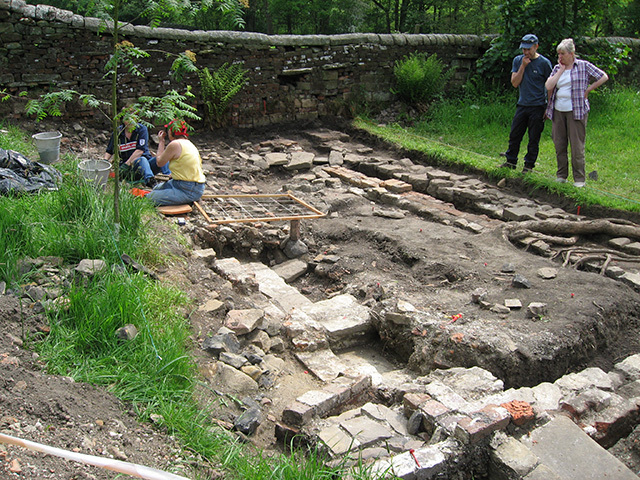 From the finds which included a large quantity of plant pots together with some window glass, it was determined that the building was a hot house, which other finds dated to the late eighteenth century. It is known that Henry Owen Cunliffe occupied Wycoller Hall in 1773. It is quite possible that he improved the building in order to grow fruit such as peaches and grapes, which were fashionable amongst the gentry at the time. 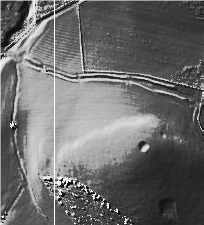 A vaccary is a cow pasture and these are prevalent in the uplands of northern England. Their main purpose was to provide oxen in the medieval period, as the ox (a castrated male bovine of at least four years old) was employed to shape the land and haul wagons. 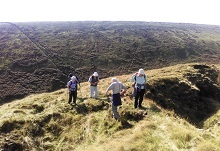 In the Blackburn Hundred, which included the forests of Accrington, Pendle, Trawden and Rossendale, there were thirty vaccaries in the late 13th century. These formed part of the estates of the powerful de Lacy`s who owned land elsewhere in England and France. However, by the beginning of the 15th century their original function had largely disappeared. 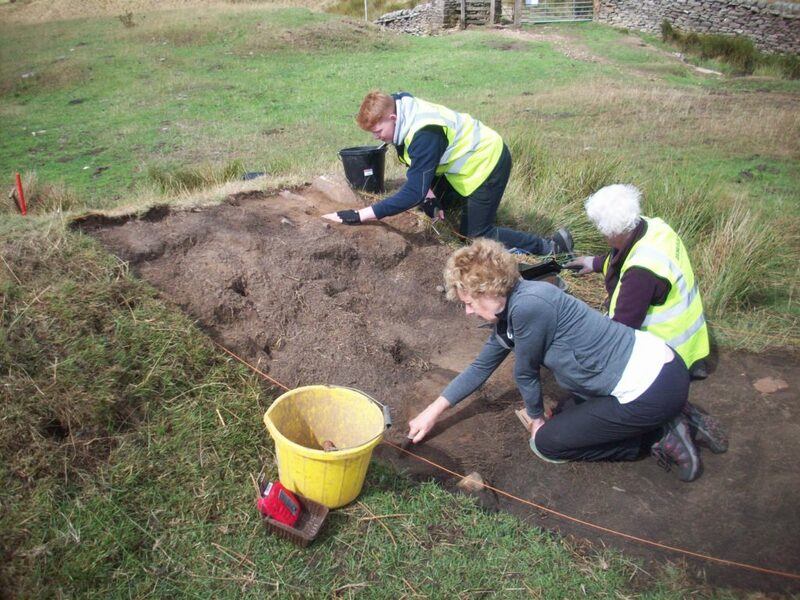 The Archaeology Group has recently researched many of the vaccaries within the Blackburn Hundred.